Cauliflower belongs to the cabbage family. It is recognizable by its large, compact, unopened flower bud surrounded by thick, green leaves. The most common cauliflower is white to off-white. Other varieties include green, orange, and purple cauliflower. In its original form, cauliflower is believed to have originated in Asia Minor. From there it made its way to Italy, where a number of crossbreeding experiments resulted in a cauliflower closer to what we know today. 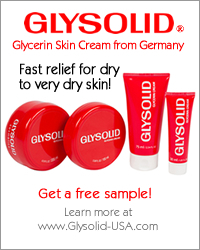 It became popular in France in the 16th century, and from there it was introduced to Germany and the rest of Europe. Today, cauliflower is one of the most loved cabbage varieties. The top producers are China, India, Italy, Spain, France, and the United States. Germany's cauliflower production accounts for around 13,590 acres (5,500 hectares). Cauliflower can be boiled, baked, fried, steamed, pickled, and eaten raw. It pairs well as a side dish to many meat dishes. It also works well in stews, soups, quiches, and casseroles. In Germany, it is most commonly boiled then topped with melted butter or Hollandaise Sauce or baked in a cheese sauce. To prepare cauliflower, remove outer leaves and thick stalks, leaving only the florets (the white flower buds). Although the leaves are edible, they are usually discarded. Break the florets into small, similar-sized pieces. This helps them to cook evenly. Cauliflower florets take about 8 minutes to steam or 5 minutes to boil. They should be soft but not mushy. Cauliflower also contains folate and vitamins B1, B2, B3, B5, and B6. It also contains many phytochemicals which are beneficial to human health and reduce the risk of certain cancers. 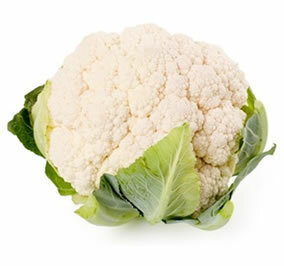 The freshness and quality of cauliflower is recognizable by its dense, compact head and a fresh aroma. It should also show no signs of over ripeness, such as brown marks or other discolorations. Store cauliflower in the refrigerator. It will remain fresh for 3 to 5 days.